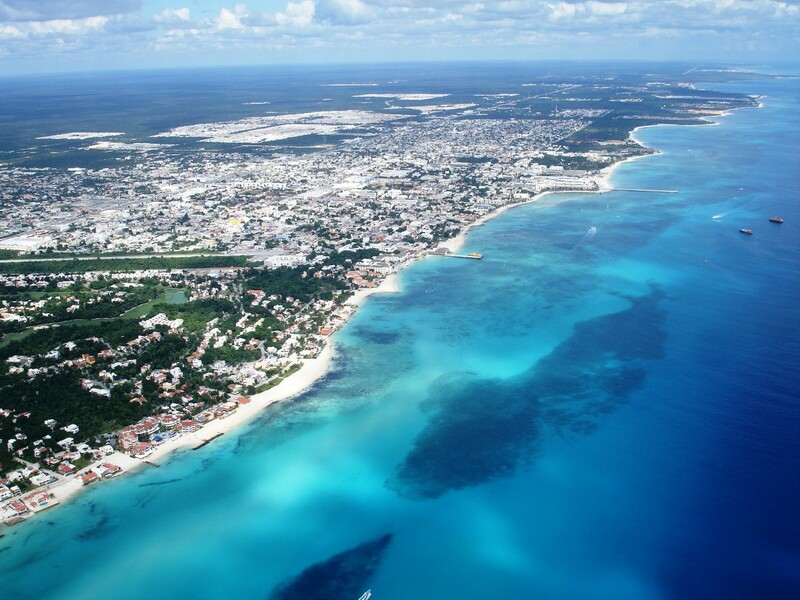 According to StockMarketReviews.com- ¨Buyers who have been watching Playa del Carmen real estate will be interested in knowing that 2011 has brought ongoing change to the area – change for the better of real estate buyers. The following are changes or continuations of important changes that are likely to shape the market for 2011 and in years to follow. Transformation of the south half of downtown – As Playa del Carmen grew from a fishing village on the beach, to a small town at a ferry dock, to a small tourist city, the original town retained much of its original development; while it was definitely small-townish, this was not always in a quaint or picturesque way. This area now comprises the south half of downtown. Starting in 2009 and seen more evidently during 2010 and even more so in 2011, the old homes and somewhat unplanned storefronts are being replaced by nice condos, boutique hotels and upscale shops. Completion of highway bridges – Playa del Carmen does not yet have anything that resembles traffic – at least not to anyone who’s ever lived in a growing city. Fortunately, however, the city is planning ahead and has built a series of bridges on the main highway over the main intersections heading into the town center. These bridges make it faster for residents of both downtown and the gated communities north of town to get to Playa del Carmen’s new malls. More affordable options – Since real estate in the U.S. has still not picked up very much, the market has responded by offering more low-priced options that nevertheless have a comfortable lifestyle. On the other hand, since sales have picked up from Canada and Europe, it has been worthwhile for developers to continue putting new options on the market. This combination means that there is a healthy range of property styles, prices and locations available to choose from. The emergence of the condo-resort – Most people have heard of condo hotels. A variation of this concept is to offer beautiful condos in five-star resort setting, with fully titled ownership. This arrangement allows owners not only to enjoy a full resort lifestyle when they are in their vacation condo, but also to enjoy a real income, and sometimes even a profit, from their property. Peninsular trains – These trains are still in the working, but 2011 and 2012 is supposed to see the first stages of new tourist trains connecting Playa del Carmen to places like Cancun, Tulum, Merida and Chichen Itza.